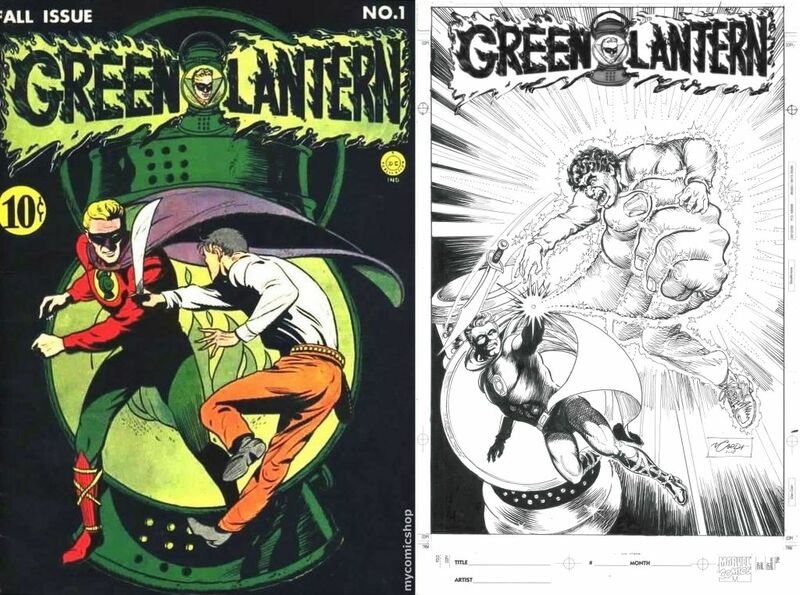 i have, for the past several months, been...advising, i guess you could say, and shepherding my pal nick cardy through tackling a commission that i have been very eager to see done. see, nick--like me---and probably like a lot of you out there--tends to get on one project and stay with it until it's done; day and night, large or small, realistic or unnecessary. maybe unnecessary is too strong a word? anyway, nick has been, for the past six months or so, been collecting and compiling pieces from his long and storied career for another book--a companion of sorts to his nick cardy: the artist at war book--from little eva ink, this time featuring nick's humor comics and illustrations from his years in both comics and advertising. in our phone conversation we've talked about this constantly and nick has bounced his ideas for the order and layout of the book off of me til the cows came home. which, let me say now, i am not complaining about--i love to hear the excitement and enthusiasm in nick's voice as he does this--but the order and layout and design of the whole book is going to be handled by eva ink publisher and editor, our friend renee witterstaeter, who did such a magnificent job on the first book. so, is he wasting his time? no. and who knows, maybe having projects like these and having something to focus so intently on is the secret behind my 91 year old friend's longevity. i dunno. but i'm not gonna upset that apple cart. but, as nick was working away at this, keeping his head down, i was trying to nudge him along so that he could tackle an exciting commission (i think, anyway) that would not only get him drawing again, but would especially make him a little money. nick doesn't do many commission's in a year. he would like to do more, but too much time at the drawing board these days does take it's toll on his eyes and his hands. but this commission, i thought, would be extra fun for nick as it was coming from one of the nicest guys i know and one of the most appreciative of the work that these artists do. michael finn has been collecting commissioned artwork for quite a while and i love it when anybody shares their sketchbook with me to show me what treasures they've acquired at conventions and such. but michael has a very creative--and highly respected--sketchbook that he's titled "One Second After". in this, michael selects a classic comic book cover or an iconic image from inside and asks the artist to imagine what the cover might look like "one second later"--in other words, what might the next panel or sequence be. 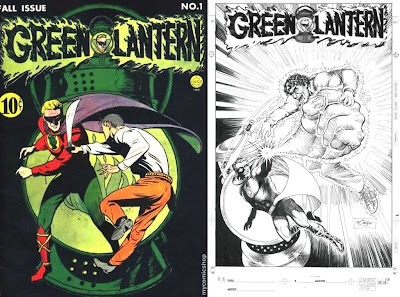 for nick, michael suggested the cover to the classic cover to green lantern no.1--see below--and once i was able to steer nick in the right direction, he got right on task--and did have a LOT of fun with it--and turned in this gorgeous piece! and while we're on the topic of awesome art and cool galleries; i don't remember how i stumbled over this cool drawing online a few months ago, but i love it and made it my desktop for weeks and thought i'd put it up here for you to enjoy as well as it's by one of my all time favorite artists and favorite people--kevin nowlan! 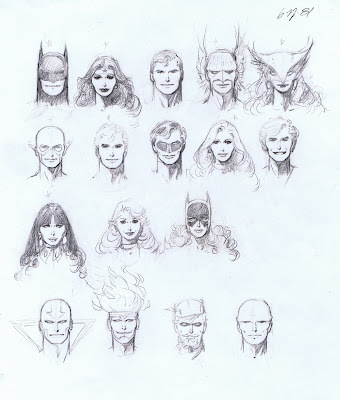 now all i can do is dream of what a kevin nowlan justice league would have been like back in 1981.
and finally, if you want something to pick you up and have 8 minutes to spare, my dear friend alison sent this to me the other day and it made me happy to know there are caring people out there and eager to go see some whales. Nice art! Michael's sketchbook is very impressive. Getting to see new Nick Cardy art, priceless. I very much enjoyed the book on Nick's art from WWII and I'm looking forward to his next opus with Renee. Nick is one of the awesomest comic book pros I've ever met. Last year at Heroes Con, his solo panel on cover design (not sure that was what the topic was supposed to be, but that's what it became) was amazing. This drawing shows that he hasn't lost a thing in that regard.